Teaching the Word. Equipping the Saints. Serving the Church. Furthering the health of the church by cultivating biblically, historically, theologically-rooted churchmen and women who will take what they have learned in classroom, in internship, and in mentoring, and inculcate those same priorities in the life of their own local congregation. The BRITE Summer Institute for Biblical Languages (SIBL) provides thorough, intensive introductions to the biblical languages. Join us this Summer 2019 as we study Biblical Greek together! Invest in the future of BRITE. 41 Ministry Partners giving $41 per month to help secure affordable theological education and training for our region for generations to come. 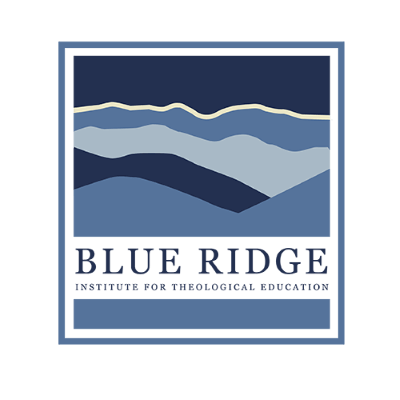 The Blue Ridge Institute for Theological Education (BRITE) serves the church in all branches of Protestant Christianity by preparing its students to be more faithful and effective church members and followers of the Lord Jesus Christ. The institute seeks to accomplish this by teaching and equipping its students through a program of graduate level theological education, a variety of training seminars, courses, and conferences, with all content based upon the authority of the inerrant Word of God, the sixty-six books of the Bible, and committed to the Reformed faith. A foundational desire for BRITE is that it would further the health of the church by cultivating biblically, historically, theologically-rooted churchmen and women who will take what they have learned in classroom, in internship, and in mentoring, and inculcate those same priorities in the life of their own local congregation—thus further bolstering the health and vitality of the church of the Lord Jesus Christ for generations to come. – An IRS 501(c)(3) tax-exempt charitable organization. – Located in Roanoke, VA with easy access to the Roanoke Airport and Interstate 81. Future plans include extension sites in the New River and Shenandoah Valleys. – Degree Programs: Certificates and various masters degree programs are offered by BRITE, built around a traditional seminary curriculum. Degree programs are set to be professionally validated through sister academic agencies. – Commitments: personal mentorship in study and pastoral training; assisting local church leadership in offering training and study opportunities; accessible and affordable theological education; academic rigor in the study of Holy Scripture and branches of theological studies. – Purpose: advanced study, training in scholarship, pastoral refreshment, fellowship in theology, and equipping area churches and church members with deeper biblical and theological study in an age of theological poverty and anemia. – Affiliation: Unaffiliated with a particular church denomination, BRITE partners with academic and ministry organizations in the pursuit of our shared goals, and serves churches especially within the Protestant tradition. Courses in Biblical Studies, Systematic Theology, Practical Theology, and more are offered in Roanoke, Radford, and Lynchburg! Click below to see our current class offerings. Whether you’re interested in taking only one class or applying to one of our Degree Programs, the online application is the place to start your journey. Would you consider helping our students and future leaders by giving a donation to the general scholarship fund? Whether you’re a prospective student, current student, or simply would like to learn more, we would love to hear from you.